Malky Landau and Meir David Tabak have excellent taste in ecclesiastic architecture. They’re turning handsome but vacant school buildings from two different Greenpoint Catholic churches into apartment houses. Work crews are busily converting St. Cecilia’s school buildings at 17 and 21 Monitor St. into residential buildings, with the sound of their work echoing on the quiet street when we stopped by for a visit the other day. They are carving distinguished-looking 17 Monitor into 69 apartments and smaller but stately 21 Monitor into 15 units, city Buildings Department filings indicate. A year ago, an LLC of Landau’s and Tabak’s rented the properties for a 49-year term from St. Cecilia’s, a memorandum of lease filed in city Finance Department records indicates. Landau and the Rev. Thomas F. Vassalotti, St. Cecilia’s administrator and secretary, signed the memorandum. Tabak signed a mortgage for the LLC. The properties have an unhappy backstory, which isn’t the developers’ fault. After the century-old school closed in 2008, recession put the kibosh on a plan to market the buildings. The pastor, Father James Krische, invited artists to use them – and drew an enthusiastic response. There were, on average, 10 film and video shoots a week. Artists’ donations paid for the buildings’ maintenance. After two years, though, St. Cecilia’s was merged with two other parishes, Father Krische moved on and the artists’ days on Monitor Street were over. Elsewhere in the neighborhood, work continues at 125 Eagle St., a building on the back side of Landau’s and Tabak’s other Greenpoint Catholic Church site, the former Saints Cyril and Methodius school at 96 Dupont St. The school closed in 1998. One-bedroom apartments in the Dupont Street building are being marketed for $2,500-per-month rent and two-bedrooms for $4,000 per month, according to online listings. Another of the developers’ LLCs rented the buildings for a 49-year-term, a January 2011 memorandum signed by Landau indicates. The Rev. Tadeusz Maciejewski, the church’s pastor and secretary, signed the memorandum. Again, Tabak’s involvement in this property is revealed by his signature on a mortgage. According to a Buildings Department filing, 47 apartments were planned for the buildings on Dupont and Eagle streets. We don’t know what drew the duo into the Catholic school-buildings conversion niche. A text message sent early in the week to Tabak went unanswered by deadline time. 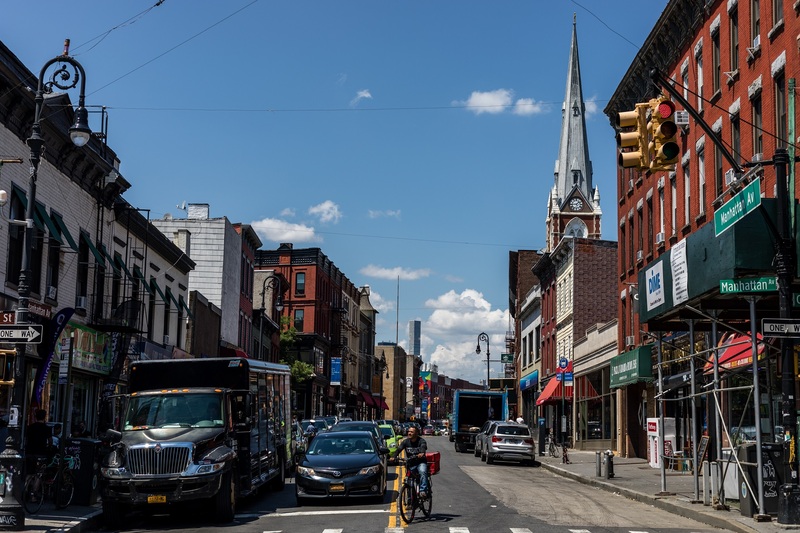 We do know Landau is involved in the residential development of another leased Catholic property, the former St. Mary of the Immaculate Conception Church on Ten Eyck Street – which made it onto our recent Top Ten list of the Coolest Places in East Williamsburg.